The ability to raise funds is one of the five core competencies to effectively engage and serve dads. One reason it’s a core competency is that it isn’t easy to master. Generally speaking, fundraising is hard. Fundraising for fatherhood programs is even harder. It’s not as if there are a boatload of sources that provide specific funds to serve dads. When it comes to public sources, the most significant source of funds is for Healthy Marriage and Responsible Fatherhood (HMRF) programs. But only part of that source is for fatherhood programs. And the most recent round of funding in 2015 included a significant change in the length of awards. Organizations received five-year awards instead of the one-year awards of previous rounds. That means this source of funds is closed for the foreseeable future. There are a few states that provide funds to serve dads, but you have to search hard for them as they could be housed in any state agency and appear at any time. On the private side, the large national foundations that provided funds to launch many of the first fatherhood programs in the nation have either completely stopped funding them or have significantly reduced funding for them. Fortunately, some smaller regional, state, and community foundations will fund work with dads. But, as with public funding from state agencies, you have to search hard for them. And you must position work with dads within the context of their giving priorities (e.g. poverty reduction). While a search through a foundation search service might help you narrow the field, you must contact foundations and talk with the head of the foundation or a program officer to gauge the likelihood of them funding a fatherhood program. That’s because you’re unlikely to see a reference to funding such a program in the results of a foundation search or on a foundation’s website or in their literature. The importance of being creative is why we recently conducted a free webinar on fundraising for fatherhood programs that you can now view on-demand. It includes lots of tips and guidance on how to create a fundraising plan and sources of potential funds. It’s also why I write about creative funding efforts in this blog, such as this one by St. Joseph’s Parenting Center in Stamford, CT. I just learned about a creative effort of the Early Childhood Resource Center in Stark County, OH. The center has contracted with the Stark County Department of Job and Family Services to provide the 24/7 Dad® program to the department’s clients. The department will use a grant it received to pay the center to serve its clients for an entire fiscal year. I often run across organizations that contract with government agencies, or other organizations in their community, to serve dads. 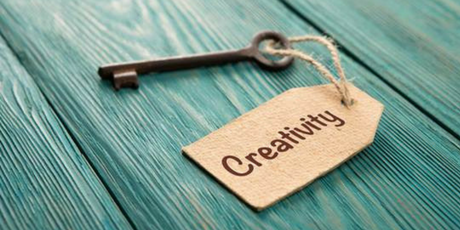 To develop this core competency and get your creative juices flowing, I recommend you start by viewing our free fundraising webinar. Then register to receive your Father Engagement Certificate. Developing the other four competencies at the same time will strengthen your fundraising competency. How well developed is your ability to raise funds to serve dads? How many sources of funds do you rely on to serve dads? What will happen to your ability to serve dads if and when those funds disappear?